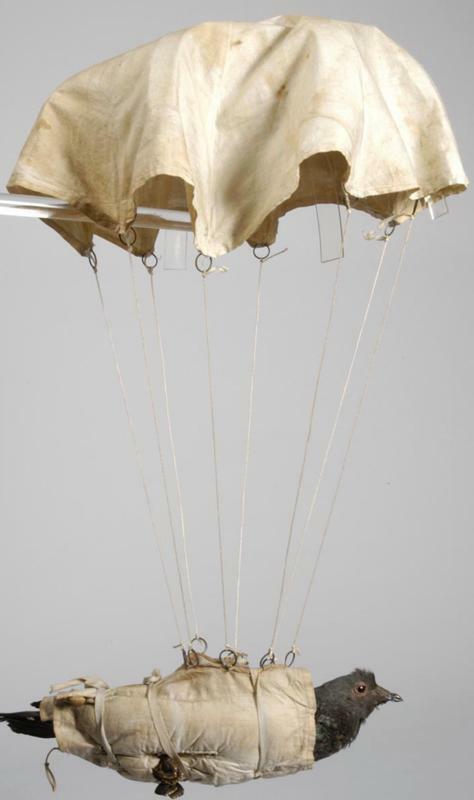 Peter Taylor was doing research at the UK's Imperial War Museums when he stumbled across the story of parachuting pigeons. In 1914, the British were seeking intelligence about German troop numbers and movement in Belgium. So they parachuted homing pigeons into the region from balloons and planes. Attached to the pigeons were instructions for civilians to write down what they had seen and then to allow the birds to fly back to base. Inspired, Taylor went on to collect unusual war stories and compiled them into two books, Weird War One: Intriguing Items and Fascinating Feats from the First World War and its sequel Weird War Two: Intriguing Items and Surprising Stuff from the Second World War. Below, an illustration of a propaganda idea involving flying machines shaped like sharks.